Towing, protection, spare parts, stylish add-ons... Camberwell Toyota can help! Let us know what you need and we'll get back to you as soon as possible with solutions, prices, and an ETA. Message us here. We prefer Toyota Genuine Parts & Accessories because they are better for you. 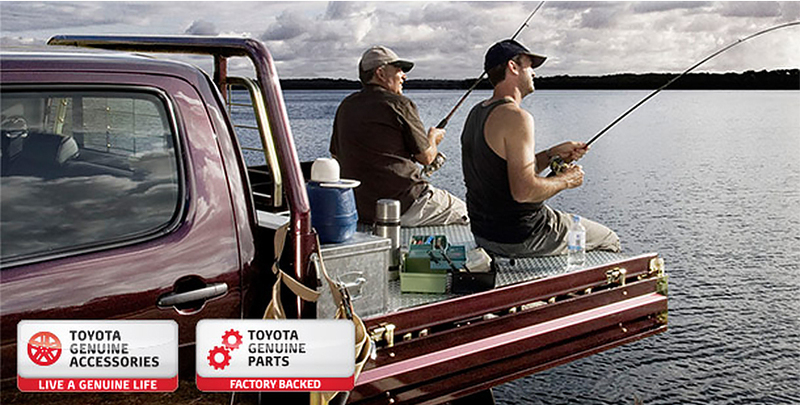 Genuine parts are designed to integrate precisely with each Toyota model for the perfect fit, styling and performance. Every component is designed and manufactured to comply with Toyota's very stringent engineering and testing standards. The benefits for you and your car are very clear!